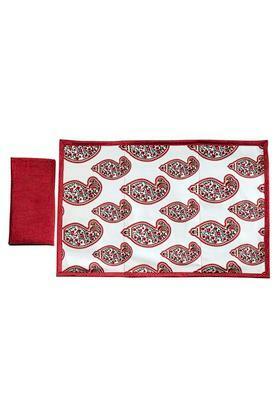 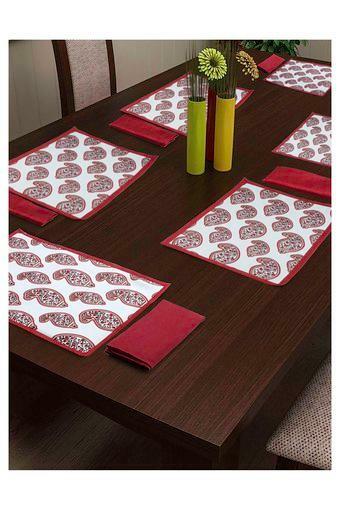 Get compliments from your guests as you place this set of twelve place mat and napkin on your dining table. It features a print pattern that is complemented by a beautiful colour combination. Besides, it is made of a fine quality material that makes it easy to maintain. Decorate your dining table with this set of twelve place mat and napkin brought to you by Swayam.